Highlights from the Women United Work-Life Balance Speed Mentoring Event! Thank you to those of you who were able to join us at the Women United Work-Life Balance Speed Mentoring Event last week. We hope you enjoyed the opportunity to hear from our group of talented and inspiring mentors! For those of you unable to attend, our mentors touched on the following topics and shared a number of takeaways. If you’re interested in learning more, take a look at the recommendations below! Laura Murray – Financial Wellness. Recommendation: A great FREE tool for mindfulness and spending is available at www.mint.com. It creates a single dashboard for all of your accounts, assets and liabilities. Recommended Book: Fortify Your Life: Your Guide to Vitamins, Minerals, and More by Tieraona Low Dog, M.D. Thank you again to TASC for graciously sponsoring this event! 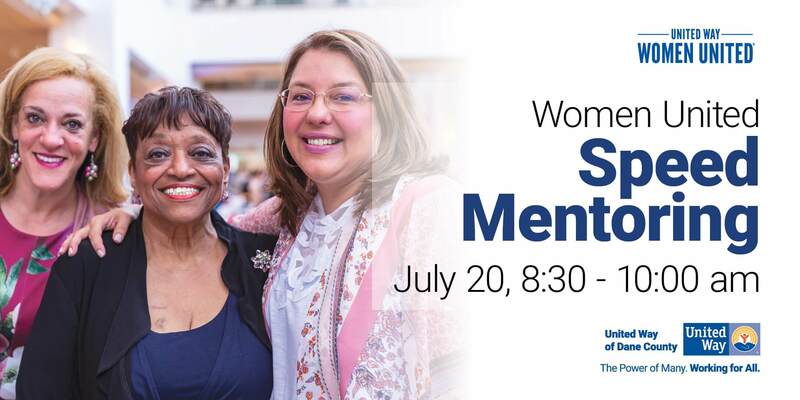 Help us drive momentum of our network across the county by being a Women United champion in your workplace, social networks, and in the Dane County community as a Women United or United Way volunteer. If you are interested in learning more, contact us at womenunited@uwdc.org. Do you find yourself constantly questioning the “hows” and “whys” of the world? Can you help inspire the same curiosity among children in Dane County? If so, please join our Women United affinity group in volunteering for one of the many awesome opportunities during the 2018 WI Science Festival, October 11-14! Over 3,500 students from 22 cities all across WI will participate in activities to ignite their love of science-whether through robots, insects, engineering, or art! Click the link to set up your volunteer profile and sign up for a volunteer opportunity today! Save the date for our next Women United Event coming up on November 9, 2018 at 7:30 am. Join us at Exact Sciences as we highlight leaders in the area of Science, Technology, Engineering and Math. Stay tuned; there’s more to come!